The Once-A-Day Bible Promises Devotional highlights the areas of the Bible in which God speaks to his people and promises his peace, his power, and his presence. 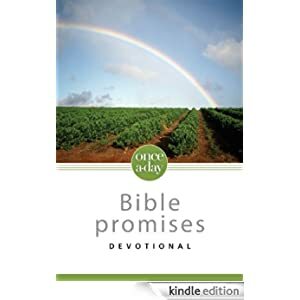 Written by the same trusted group that created the Life Application Study Bible, this book will allow you to more clearly and intuitively see the promises contained in Scripture–promises that connect to your life today to give you help and hope. Buy this devotional guide for only 99 cents today.